So you made your first bitcoin purchase and now you are wondering, "What are the best bitcoin wallets?" Well, we have you covered! There are several types of wallets, and bitcoin wallets work differently to your conventional wallet. 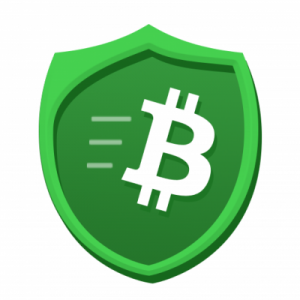 In this beginners guide to Bitcoin wallets, we will cover everything you need to know and some to ensure you are fully equipped and ready for the cryptocurrency age. What is a Bitcoin Wallet & Why Do I Need One? The first step to using Bitcoin is having a wallet. Why? Because without a wallet you can't send recieve, store or spend your cryptocurrency. When you buy Crypto from a website like Coinbase you will have a wallet on their exchange, this isn't a secure place to store it though so you will want to understand the differences between the different wallets available. Think of your wallet as your way of interfacing with the Bitcoin network in the same way you would your internet banking by logging into your banks website with your username and password. A Bitcoin wallet coins private keys, these are secret codes that allow you to spend and transfer your Bitcoin or altcoins to other wallets. So ultimately it's the private keys that your wallet secures, not the bitcoins themselves, as they exist on the Blockchain which is a public ledger of all wallets and transactions. So a Bitcoin wallet is basically just an app, website or hardware device that allows you to manage your private keys. Next, let's discuss the different kinds of Bitcoin wallet available and why you might have a preference for a particular type. The main types are Hard Wallets, Hot Wallets & Cold storage. We will explain these below. A hardware wallet is a physical device built purely for storing Bitcoin and/or other cryptocurrencies or altcoins. Hardware wallets are completely disconnected from the internet when not plugged into your computer. A hardware wallet is completely disconnected from the internet when not plugged into your computer making it a form of "cold storage" and is unhackable. Of course even hardware wallets are vulnerable whilst in use and connected to your computer and the internet. If you are serious about security then hardware wallets might be for you. They are also great for when you are holding coins for long periods of time. Sending your coins from the exchange to your hardware wallet and then locking your wallet away in a safe is by far the most sure-fire way to ensure you don't get hacked or lose your coins like you hear about in some of these horror stories. By keeping your important private keys offline you are ensuring it is impossible for anyone to access them other them yourself. Even if hackers or criminals did manage to steal your hardware wallet it can be protected with a PIN code or a series of secure phrases allowing you to restore your private keys onto another hardware wallet. As long as you create your secret backup code then even if your wallet is lost or destroyed you will still be able to recover your keys. This is just one of many reasons why digital currencies are better than physical money. As long as you create your secret backup code then even if your wallet is lost or destroyed you will still be able to recover your keys. This is just one of many reasons why digital currencies are better than physical money. Important! Never buy a hardware wallet from eBay or any other second hand marketplace. There have been reports of people doing this only to find the wallet has been compromised, the original owner has the private key and can empty your savings instantly. The temptation to save money is not worth it if you risk losing everything. Buy from an approved seller, our links take you directly to the original manufacturers website to buy directly. The safest option by far! Easy way to securely store Bitcoin. Require you to have physical access to spend Bitcoin or Altcoins. 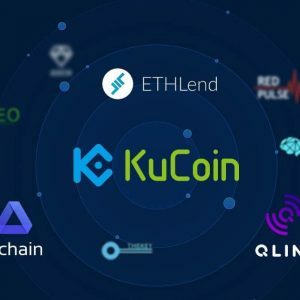 A Hot Wallet refers to a cryptocurrency wallet that runs on a device connected to the internet like laptops or mobile phones. So any software wallet or iOS / Android app is technically a hot wallet because it's accessible by hackers. Since a hot wallet creates your private keys on a device connected to the internet this is considered a less secure place to store your crypto, especially if you are holding for the long term. Your hot wallet is similar to the physical wallet you carry in that sense. You have instant access to spend your funds provided you have the wallet available but it's also more susceptible to theft. Easy access to spend your funds. Some hot wallets allow you to trade from the platform. Depending on choice of hot wallet may lead to compatibility / support issues down the line. The type of Bitcoin or Cryptocurrency wallet that is best for you depends on what you are using crypto for. Are you investing and holding for the long run? if so it makes sense to invest in a hardware wallet for the security and peace of mind. Do you own a lot of Bitcoin or other cryptocurrencies and tokens? If so then you also should spend some money on a hardware wallet to safely store your coins. Are you using Bitcoin and other cryptocurrencies daily to spend online and offline? Then a hot wallet will likely be more convenient for you. 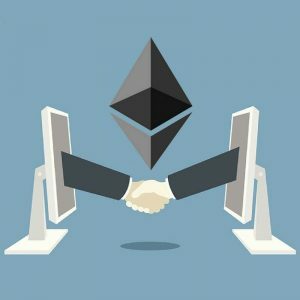 Are you trading daily on a cryptocurrency exchange like Bittrex, Bitfinex or Poloniex? Then you will have a wallet built into your account for each currency. This is a hot wallet because it's connected to the internet as it runs within a third parties website. If so and you are holding certain coins for longer periods of time, send them from the exchange wallet to your hardware wallet until you want to sell them. Simply put there is no best wallet for all, it depends on your individual circumstances more than the technology itself. Below we will break down the different options available to you for hardware wallets and hot wallets you can use on your Windows or Mac Laptop, tablet or smartphone. So now we have covered the basic differences between wallet types we can move onto covering the best bitcoin wallets by type and focus on which hardware wallet is currently the best and what we recommend as a hot wallet option for your laptop or phone. 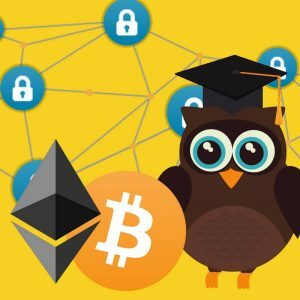 As we have already covered the only disadvantages to hardware wallets are that they are not free and that they don't give you immediate access to your funds if you want to spend them or use them on an exchange. 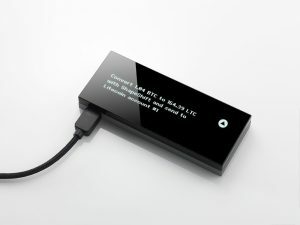 The most popular wallets for Bitcoin and any other Alt Coins or Tokens that comply with the ERC20 Token Standard are the Trezor, The Ledger Nano S and the KeepKey. So, is a hardware wallet worth it? That depends on a few factors but if you hold a significant amount of coins and plan to hold for the long-term then you should definitely own at least one hardware wallet if not a few. Hardware wallets are the most secure option, they are offline devices and store your private keys offline as a result greatly reducing the chance of hacking. Wallets with a screen provide additional security features allowing you to confirm details are accurate before confirming a transfer. It is far easier to hack a computer than it is a hardware wallet and so the screen on a hardware wallet is more trustworthy than a notification on your laptop. 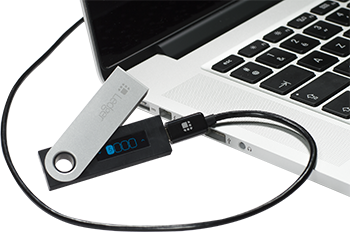 The Ledger Nano S is the cheapest hardware wallet with a screen and features a compact form factor. 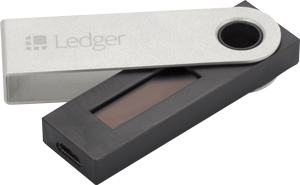 Released in August 2016 this USB Stick-like device is manufactured by one of the most popular and trusted brands in the Bitcoin market. This is our recommended number 1 choice for those new to crypto that want a more secure option for storing their coins and tokens. You can buy the Ledger Nano S from the official website for €58. 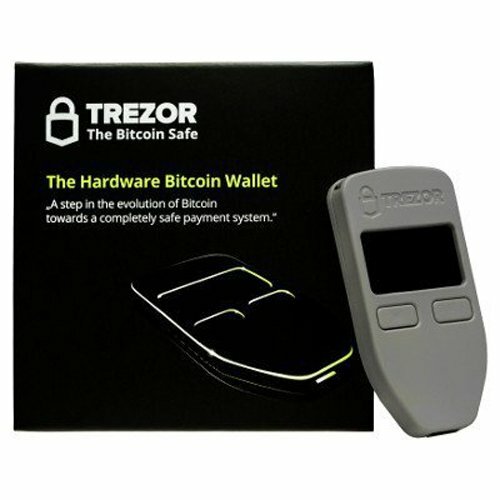 TREZOR first launched in August 2014 and became the first Bitcoin hardware wallet. Offering secure storage and the ability to spend with a hot wallet this device definitely packs a punch. the design is compact and well designed and also features a screen. Available in 3 colors, black, gray and white! Maybe one day you will be able to get a gold plated one! 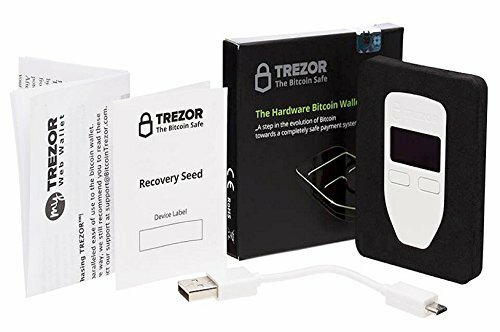 You can buy the TREZOR from the official website for $99. KeepKey is a very sleek looking Bitcoin & cryptocurrency wallet with a large screen released in September 2015. The larger screen allows for additional security features not available on any TREZOR or Ledger wallets to date. You can buy the KeepKey Wallet from the official website for $99. To recap, hot wallets are wallets that run on internet connected devices such as your Windows or Mac computer or your iOS or Android smartphone or tablet. These wallets are typically downloaded to your device from the wallet provider's website or the app marketplace for your OS. Another type of wallet considered a hot wallet is a web wallet, one that is stored by a website and encrypted with a username and password. While obviously, the least secure they provide the benefit of access from anywhere on any device. We will break down some of the popular options for the different operating systems. Want More Resources & Updates via Email? 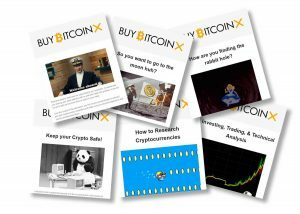 Want access to the latest Cryptocurrency tools as we find them & be notified of important news & guides we publish? Sign up below for free. For convenience, it's common to have a wallet on your laptop or desktop computer, especially if this is your main workstation. 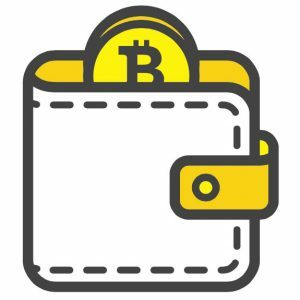 There are a long list of different bitcoin wallets for Windows, Mac and Linux machines but to avoid overkill we are just going to focus on a few of our favourites. A powerful and very attractive multi-coin wallet for Windows, Mac & Linux users that has quickly become our firm favorite. They are constantly adding new cryptocurrency support, new fiat currencies and is the first desktop multi-asset wallet with ShapeShift built in. They describe themselves as an all-in-one app to secure, manage and exchange blockchain assets. Another great wallet which also works on mobile devices such as those that run iOS or Android and also desktop devices. 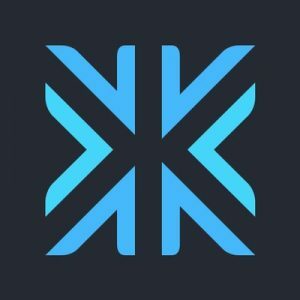 CoPay is an open source wallet created by BitPay. 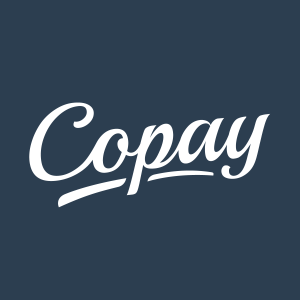 Copay calls itself a true bitcoin wallet, not an account service. Secure your personal funds with multiple signatures, or just the one. GreenAddress.it can be used as a desktop wallet or a web wallet that is stored online. Remember, never store a substantial amount of coins in any web wallet. GreenAddress.it is one of few web wallets worth considering but we still prefer to keep our coins offline. Smartphone Wallets iOS/iPhone & Android. Since we are all used to having our wallets in our pockets it makes sense to want a wallet on your smartphone. Fortunately, there are lots to choose from and a few very good solutions. There was a time when Apple banned Bitcoin wallets from the app store but they reversed this decision once they saw sense. We recommend using a mobile wallet for currencies you are actively spending or trading but not for holding or (HODling) alt coins that you are speculating on for future gains. For that, we would stick to a hardware wallet or desktop wallet. We are just going to feature the wallets we recommend and have used ourselves. 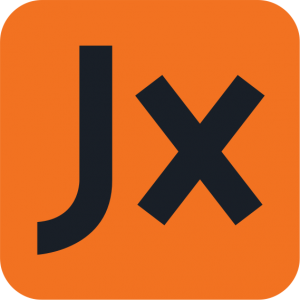 Jaxx is a fantastic wallet for iOS & Android that is ideal if you want to store some of the other primary coins in your phone such as Litecoin, ZCash, Ethereum, and Dash. Jaxx has an attractive and easy to use interface and with this wallet you control your own keys. Lykke is an easy to use and attractive Bitcoin wallet for iOs & Android smartphones. It allows you to store Bitcoin, Ethereum and several other cryptocurrencies as well as multiple fiat currencies. 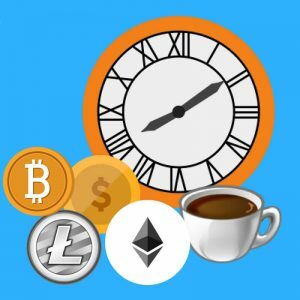 You can also use this app to purchase Bitcoin with fiat currency. It doesn't support all of the cryptocurrencies and alt coins available but is great for the ones it does support. 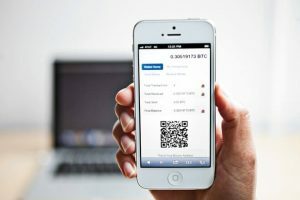 Mycelium has a long history of being the most popular Bitcoin wallet for Android users and is also available for iOS devices like the iPhone and iPad. The app is simple and intuitive with very straightforward setup instructions. This is a true Bitcoin wallet for smartphones and a great choice for those that don't want their coins to be on any kind of exchange or service like the Lykke app provides. Another type of wallet is a paper wallet. What is a paper wallet? A paper wallet is a document that consists of both your public key and private key. Often this will also include QR codes for ease of use so you can quickly scan them and add the keys to whatever software you are using to make a transaction using Bitcoin. The advantage with a paper wallet is that your private key is not stored digitally and therefore is impossible to hack or drain the funds unless someone has physical access, a bit like a hardware wallet but much cheaper since you can generate one online and print it using your own printer. Of course paper being paper it can degrade, fade and is susceptible to fire or water damage. So keep it in a safe and print a second copy to keep in another location that is equally secure and if you lose your paper wallet and don't have a backup then your coins will be lost forever. Tip: Never let anyone take a photo of your paper wallet and definitely don't show it on a YouTube live stream otherwise it will be very easy for someone to empty your wallet (this kind of thing has happened!). Another popular tip is to laminate the paper wallet to prevent from moisture or dampness ever damaging or smudging the ink. 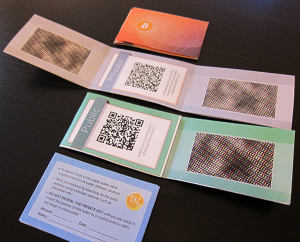 WalletGenerator is a great website that allows you to create your own paper wallet that can hold pretty much any cryptocurrency. The website is easy to use, simply move your mouse around to generate a new set of keys and once it is ready you can then go to the Paper Wallet tab and print out your wallet. Q: How should I backup my recovery seed? A: There are a few ways you can backup your seed. Firstly we advise keeping at least two copies of your seed phrase and then storing them in different locations. Create one or more paper copies you can keep somewhere safe, you could also laminate it to prevent water damage and store in a fireproof safe or safety deposit box. Another is to have it etched into a metal card that you can store somewhere private, check out the excellent service provided by CryptoSteel. Remember, you could have all of the best bitcoin wallets in the world but if you don't keep your seed safe, secure and private then you may as well set fire to it all! Q: What should I avoid when choosing an App wallet? A: Always do your due diligence when selecting a wallet to use on your laptop or smartphone. The iOS App Store & Google Play Marketplace have had phishing apps added in the past that essentially allowed the developers to steal peoples bitcoin. Always go with an approved wallet and check the reviews to avoid accidentally downloading an imposter. There are also many apps out there such as the Coinbase app that aren't actually wallets, they are in fact apps that allow you access to your web wallet which you can also do in your web browser by logging into Coinbase. Q: What is a Bitcoin Address? and What is it for? A Bitcoin address acts like your bank account number with some improvements. The address denotes which account the coins should be sent to. A Bitcoin wallet address is usually 34 characters and numbers including lowercase characters and begins with a 1 or a 3 with o, O, i and l never used to make them easier to read. Q: What is a Brain Wallet? A Brain Wallet is a standard Bitcoin wallet that creates the address by hashing a passphrase to generate a private and public key. So you can go to certain websites and wallet services and create a passphrase wallet, however, this is one of the least secure due to the fact humans tend to use weak or predictable passwords that hackers can easily break. Due to rainbow tables and dictionary attacks, couples with the number of leaked password databases over the past few years means it can be easy for a hacker to find an active address on the network and then try and then hash all the passwords to see if they can get in.